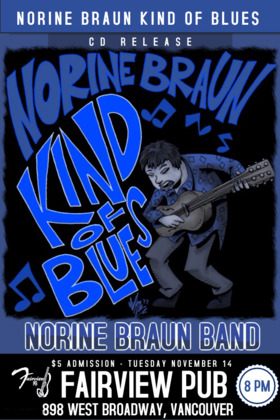 Norine Braun releases a new album “Kind of Blues” which is a collection of blues influenced scintillating songs from her previous recordings. 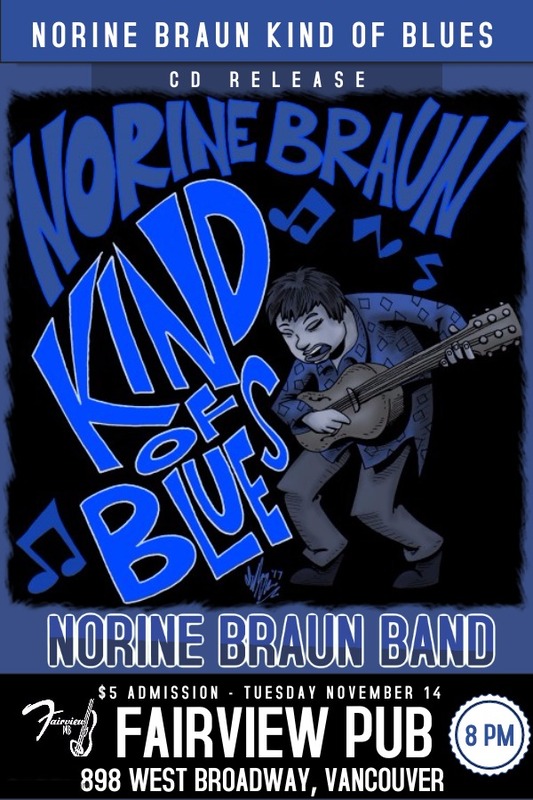 Braun is a singer-songwriter renowned for writing wide ranging compositions in various genres from blues, roots, ambience, rock to jazz music in her impressive catalogue of 10 albums. The stellar band line up for the show includes: Adam Popowitz: Lead guitar, Elliot Polsky: drums Alice Fraser: Keys and harmony vocals, Huggybear Leonard: Blues Harp, Sam Shoichet on bass and Norine on guitar and vocals. $5 door No Minors, show starts at 8 pm and the band plays 2 sets! First 10 in the door get a free copy of Kind of Blues.